A donation from local family business Jos Richardson & Son means that Howden AFC are one step closer to realising their ambitious plans for a brand new sports facility in the town. Last year the club approached several local businesses to ask for their support with the project and Joseph Richardson, Managing Director of Jos Richardson & Son, was interested in the club’s plans so he met with the board to discuss ways that the local family business could help. 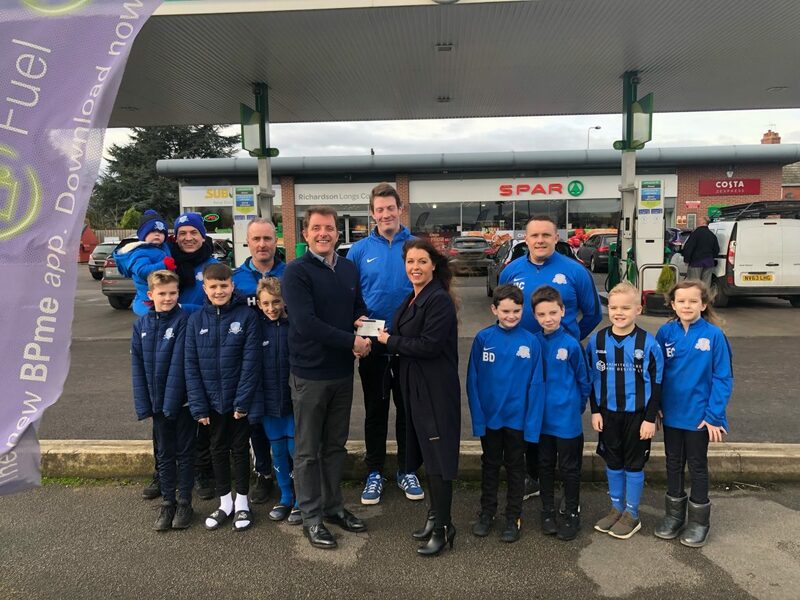 The Company, who own Glews Garage and Longs Corner Service Station, has donated £5000 to the development fund and has also committed to working with the board to assist with fundraising activities and encourage other businesses to invest. The development plans include the construction of a club house with changing facilities, improved access and car parking and upgrading the pitches. The aim is provide the town with a first class facility that the community can be proud of. For further information you can see the club’s Facebook and Twitter. If you are interested in getting involved please make contact via their social media pages. Jos Richardson & Son Ltd is a family run business that has been in operation for 125 years. Throughout our history we have operated in many different markets. Today, we are motor retail experts running a full Peugeot and Isuzu dealership, a Vauxhall service franchise, 5 petrol stations with convenience stores and Glews Services.